Popular Chicago event producer SloMo's June #floralformal held at Michelle's Ballroom. 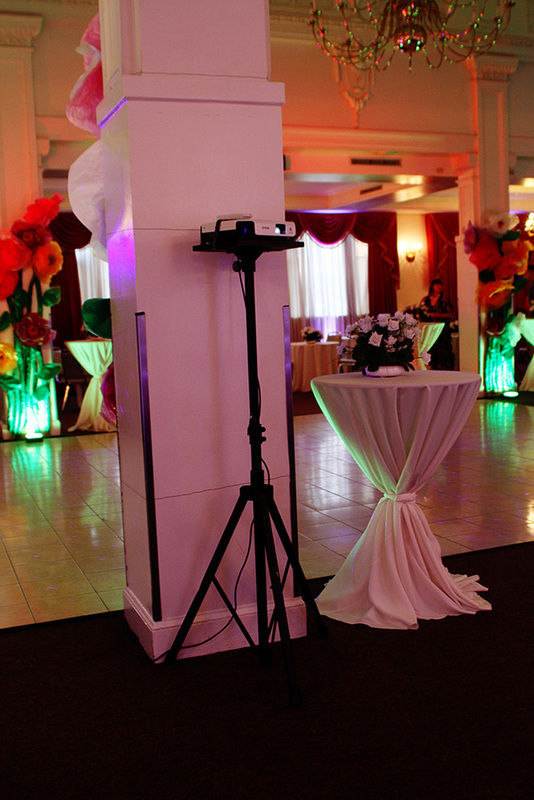 This photo features a custom logo projection ($99), as well as a uplighting (starting at just $17 each) for added color. The other photo shows how the projection is setup using our projection stand and mount kit. The stand is placed about 15 feet from the wall to achieve this look.